Thin section & malleable property facilities easy adaption. DCS Condylar Plate 95 deg. 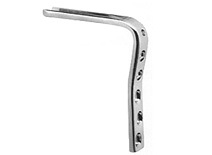 DCS Condylar Plate ( DCP Hole ) - 95 deg. 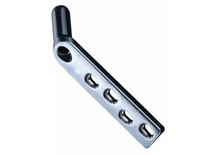 We are orthopedic bone plate manufacturer, supplier and exporter from India. 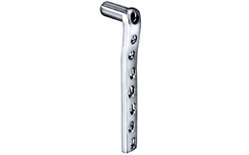 We offer trauma plates, tubular plates, DCP plates, cloverleaf bone plates, T / Y / L shape butters plates, titanium metal plates, bone screw, surgical instrument set etc of international quality standard and exports across the world.